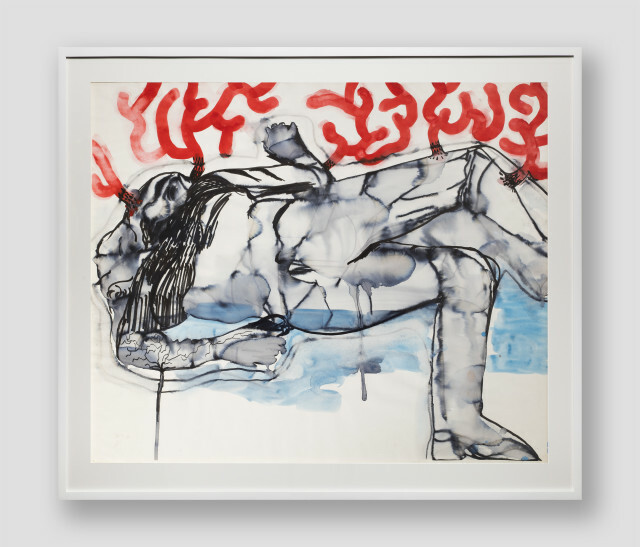 Qin Jin’s practice comprises of painting, photography, video, installation and performance. They often deliver dramatic tension through conflict and beauty, in a quiet, simple and straightforward manner. Violent and repetitive labour is an element often seen in her works, with an underlying sense of chaos, where liberation is achievable through cold and even destructive methods. There is an intimate connection between Qin Jin’s practice and her own life experiences – born at the end of the cultural revolution, and having experienced the drastic social changes in the past four decades, her works embody a uniqueness that is specific to this era, which is a sense of bewilderment and anxiety when faced with danger and uncertainties. The fleeting and uncontrollable events captured through the artist’s lens are just as the continuous life cycle that is in constant state of flux. Uneasiness and determination, submission and resistance simultaneously exist, after all, the inquiry into the destinies of affected individuals is the main focus of Qin Jin’s practice. Qin Jin was born in Guangzhou, China 1976. In 2003, Qin received her MA degree from the Guangzhou Academy of Fine Arts (Guangzhou, China). Currently, Qin is based in Guangzhou, and teaches at the Fifth Studio of the Oil Painting Department of the Guangzhou Academy of Fine Arts (Guangzhou, China). Qin Jin’s recent solo exhibitions have been presented at OCAT Art Centre Xi’an/Shenzhen ( Xi’an/Shenzhen, China), Art Museum of Guangdong (Guangzhou, China) and SOME/THINGS Gallery (Paris, France). Qin has also exhibited at Capsule Shanghai (Shanghai, China), The 6th Chinese Visual Festival (London, UK), Minsheng Art Museum (Beijing, China) and He Xiangning Art Museum (Shenzhen, China). In 2016, Qin Jin was a nominate of The 10th Award of Art China (Beijing, China); in 2014, Qin’s When I am Dead (2014) was selected as one of the Top 10 Videos of the 10th China Independent Film Festival (Xiamen, China).